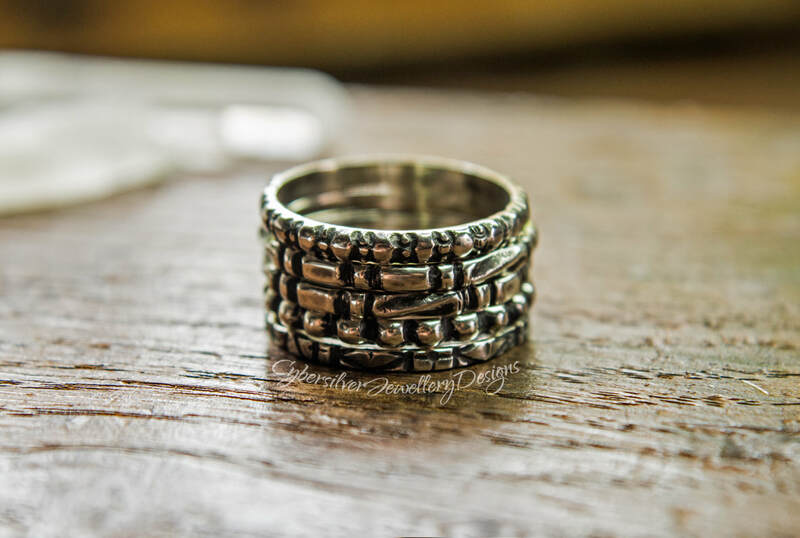 A beautiful set of five sterling silver stacking rings. 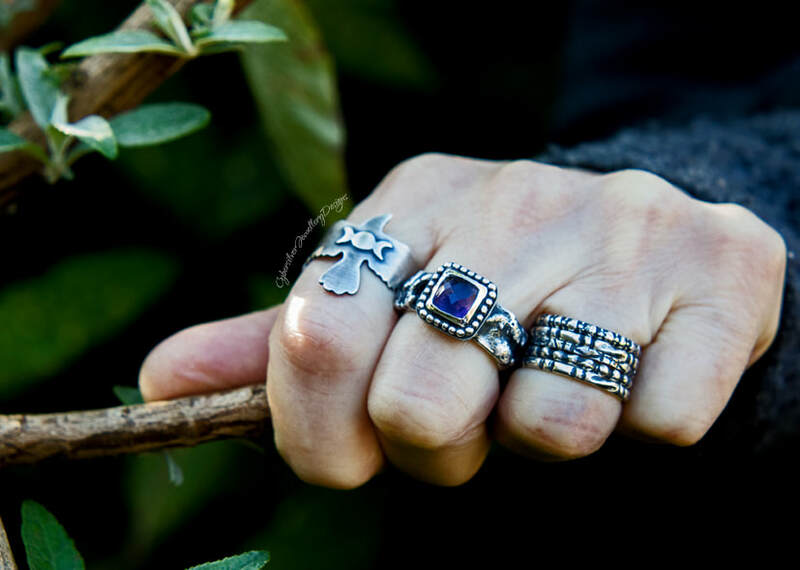 Each ring is made from my own hand-decorated silver and there are four different designs in the set. The silver has been polished, oxidised and then highlighted to accentuate the gorgeous patterns. 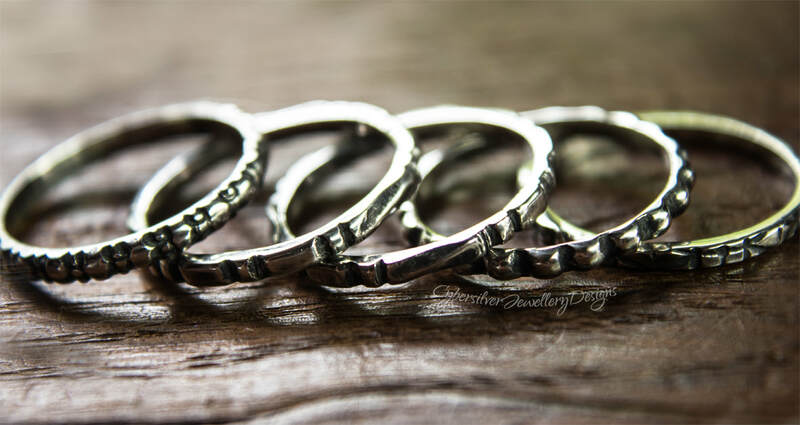 Oxidisation is a surface treatment that will lighten with wear so the silver is given a layer of microcrystalline wax to help protect the oxidised surface. Your rings will come gift boxed - perfect for giving.